LEGO NEXO KNIGHTS Lands in Singapore! LEGO NEXO KNIGHTS comes to Singapore! 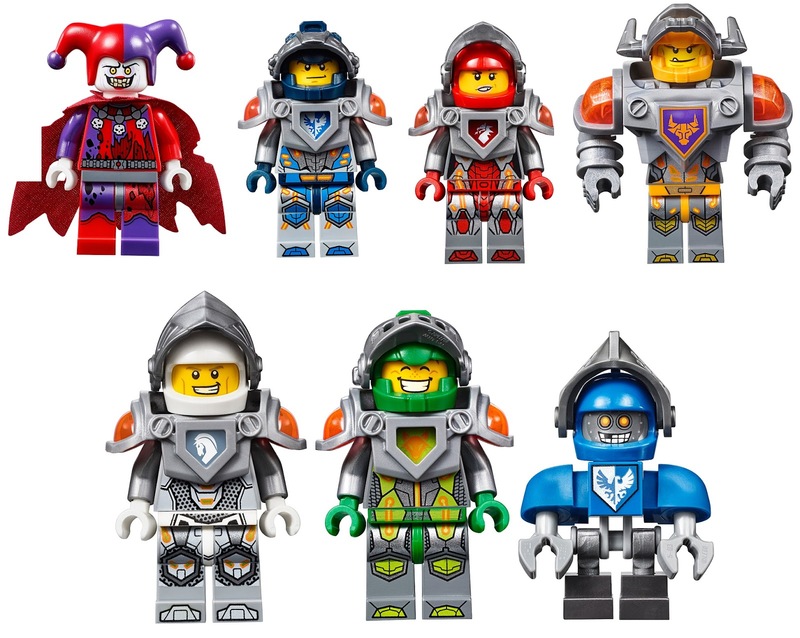 A new line in LEGO for 2016, the LEGO NEXO Knights combines the best of the medieval age with a futuristic world. Centered around five knights from the Kingdom of Knighton - Clay , Macy , Lance , Aaron and Axl. Under the guidance of the wizard Merlock 2.0, the knights have to come together to defeat Jestro the eveil jester, his sidekick the Book of Monsters and their lava monster army. Sounds like a lot of fun? The fun continues with an accompanying MERLOK 2.0 app game available for free on iTunes and Google Play. You can collect over 150 unqie powers by scanning special codes on the building sets, online and print advertisements. Sounds like LEGO is trying to combine both it's well loved bricks with today's technology to lure Kids back to toys. The boys can't wait to build their Moltor's Lava Smasher set and Ultimate Robin Set. The LEGO NEXO Knights reminds me of a combination of Kingdoms, Galaxy Squards and Ninjago themes in LEGO. So if you are into any of the above, treat this as an expansion of the world of LEGO. Bring your kids to Tampines Mall Atrium for exciting LEGO play activities. Build with LEGO bricks or try the Whack a Monster and recieve a mini LEGO NEXO Knight intro pack. LEGO NEXO Knights will be available at LEGO certified Stores ( LCS), Toys R Us , LEGO Mono brand stores, departmental stores from 2 March onwards. Prices range from $19.90 to $179.90. Head down to LEGO NEXO KNIGHTS portal for more information. The Wacky Duo were sponsored LEGO NEXO KNIGHTS sets for review. All opinions are of our own.